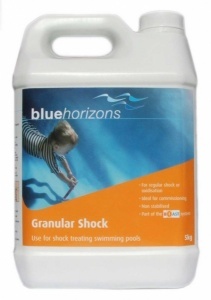 Unstabilised Chlorine granules are also known as "Shock Chlorine". 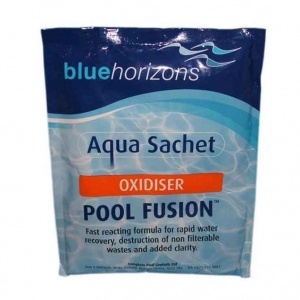 As a sanitiser, Calcium Hypochlorite is usually preferred for indoor pools where the effects of sunlight are less. 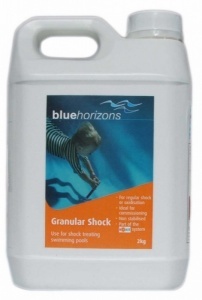 When used outdoors, a separate stabiliser must be added to slow chlorine loss in sunlight. 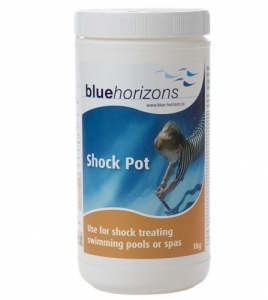 Add shock chlorine at night so that it can work in the dark to maintain its strength for longer.